Here at M Agency, our mission is to help clients build or polish their brand and business model in order to turn around and achieve greatness. We are so impressed when a client goes above and beyond their call to make an impactful change in the world. Clients like Tacoma Dentist Dr. Gregory J. Plancich are not only giving back to the community, they are coming out ahead of their competitors. 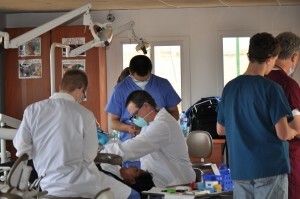 Each year, Dr. Plancich and his team of dental students embark on an incredible journey across the globe to poverty stricken Peronia, Guatemala where they spend a week in humanitarian efforts, offering complimentary cleanings, x-rays and oral health education to as many patients as possible. Other services offered include oral fillings, personalized treatments plans and distribution of home care packages to ensure that oral wellness continues year round. 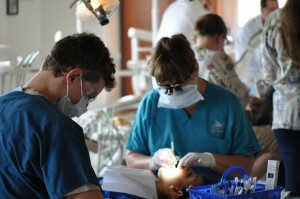 The genuine, giving spirit of the mission trip benefits hundreds each year, from the learning experience for dental students and staff to those who walk away from the clinic with clean teeth and the tools to live beyond limitations. The clinic itself was put into place by the Open Wide Foundation but Dr. Plancich and other dental specialists from across the country, pledge a week of their time to this pocket of the world that could easily be ignored from American soil. They do it because they want to see change and progress where it is needed most. They do it because their “why” is bigger than the confines of their Tacoma office walls. The tradition started in 2013 and Dr. Plancich has shared the journey with many, including his sons, since then. -Dr. Plancich, on his Open Wide Ambassador page. At M Agency, we support our clients not only because it’s our job but also because we believe in their purpose. We aim to help our growing businesses put the pieces into the place and the big picture into perspective, with support, guidance and encouragement even in those endeavors past our city limits. We love when clients go above and beyond their call and give back to the community. Not only are they making a positive change in the community, they are differentiating themselves from competitors. If you would like to help support Dr. Plancich and his team, please consider donating to this incredible cause. Dr. Plancich believes in it. We believe in it. And we think you will too. 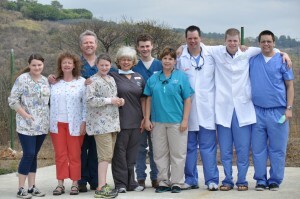 To donate, visit: www.razoo.com/us/story/Open-Hearts-For-Dentistry-By-Dr-Plancich. You can also check out Dr. Plancich’s Open Wide profile at www.openwidefoundation.org/dr-gregory-plancich.